EPW055042 ENGLAND (1937). King George Dock, Kingston upon Hull, from the north-west, 1937. This image has been produced from a print. 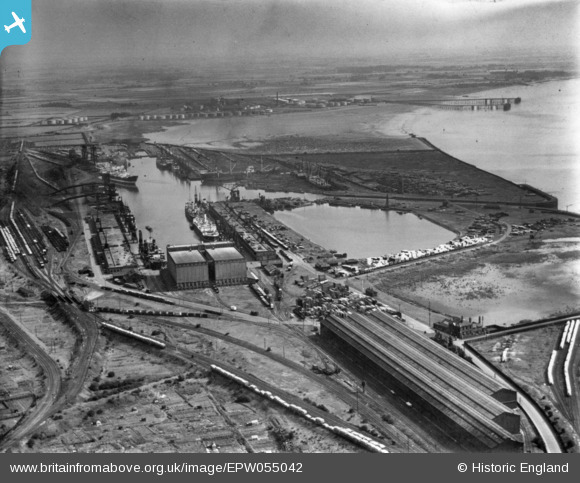 Pennawd [EPW055042] King George Dock, Kingston upon Hull, from the north-west, 1937. This image has been produced from a print. 0-6-0 tank locomotive on shunting duties. King George Joint Dock signal box.